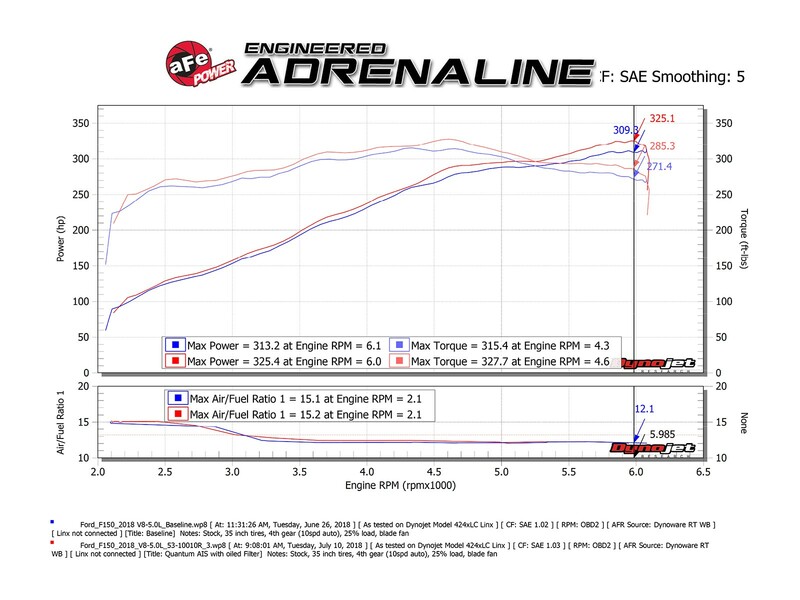 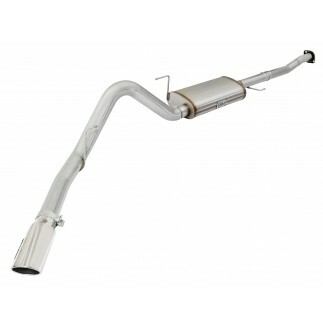 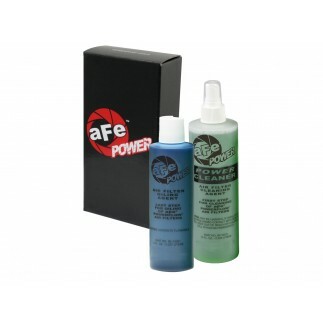 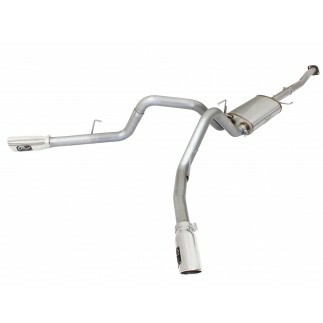 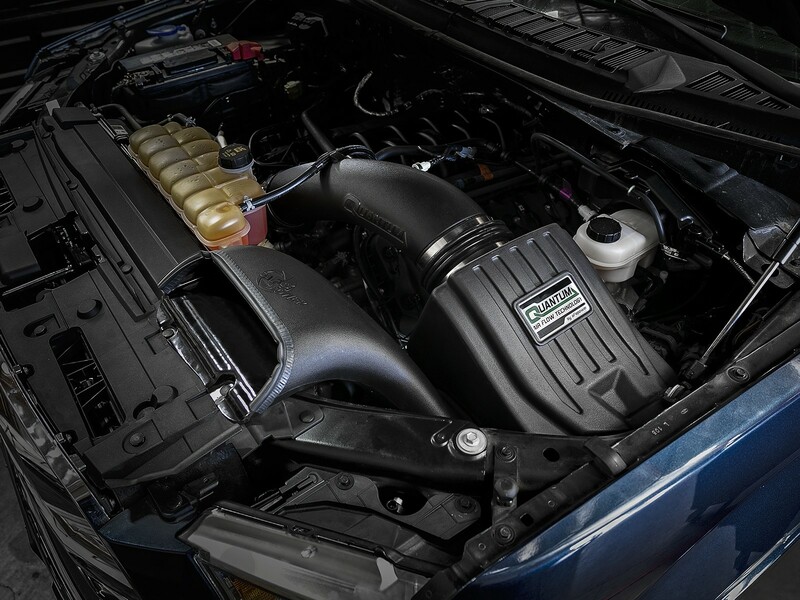 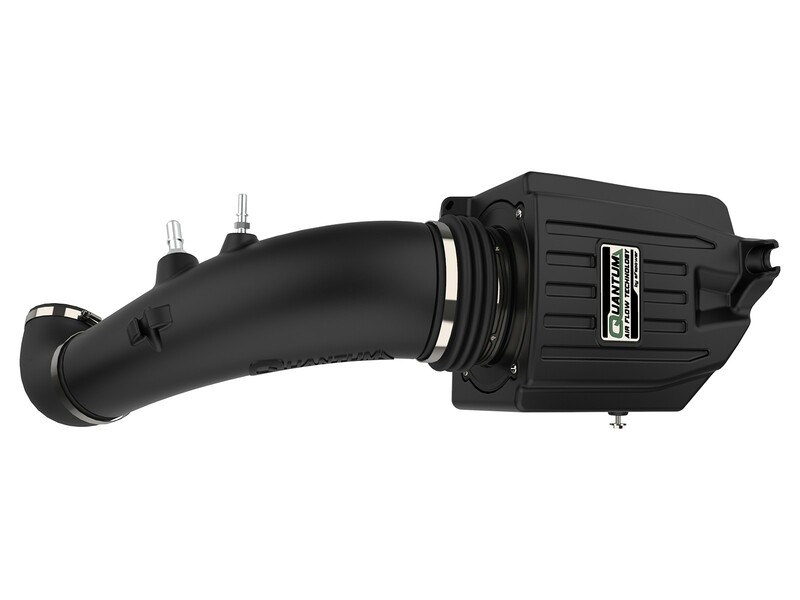 Quantum Cold Air Intake Systems (Patent Pending) by aFe POWER are the latest in airflow technology for your Ford F-150. 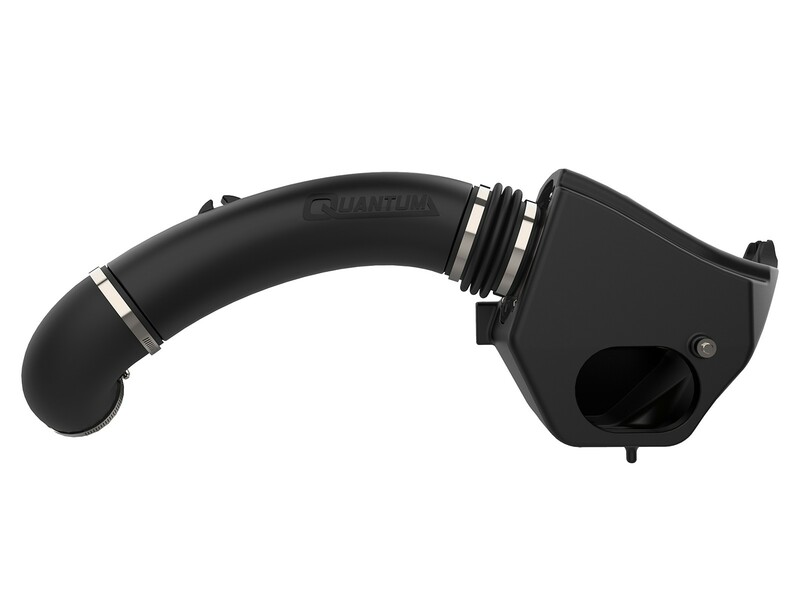 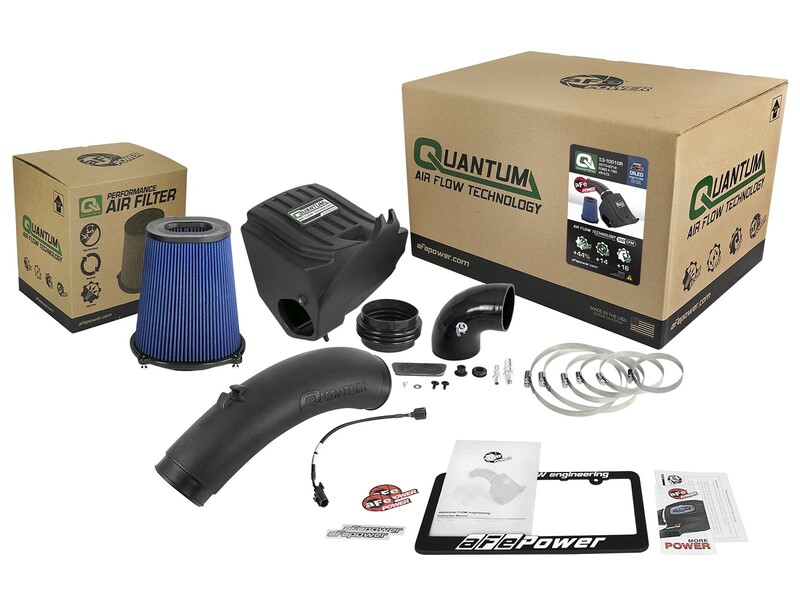 From the uniquely integrated filter-to-housing design to the state of the art, lightweight injection molded base and top Pro 5R air filter, Quantum delivers dyno-proven performance gains, convenience, value and installs in minutes. 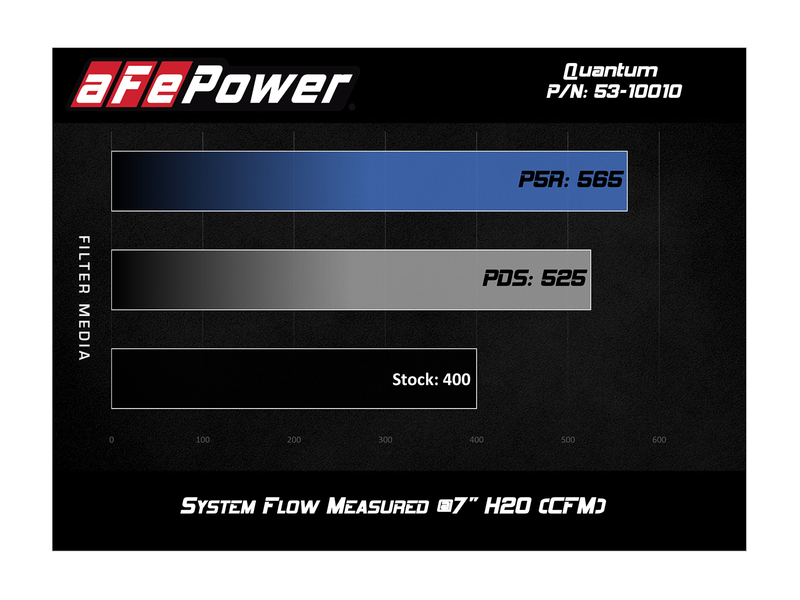 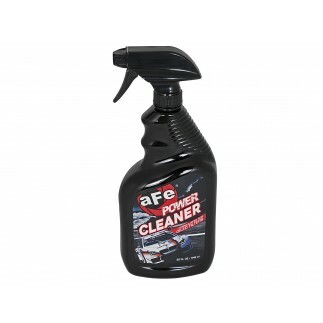 This system is equipped with our pre-oiled, 360-degree radial flow air filter with five layers of progressive synthetic media, providing optimum flow, protection and performance. 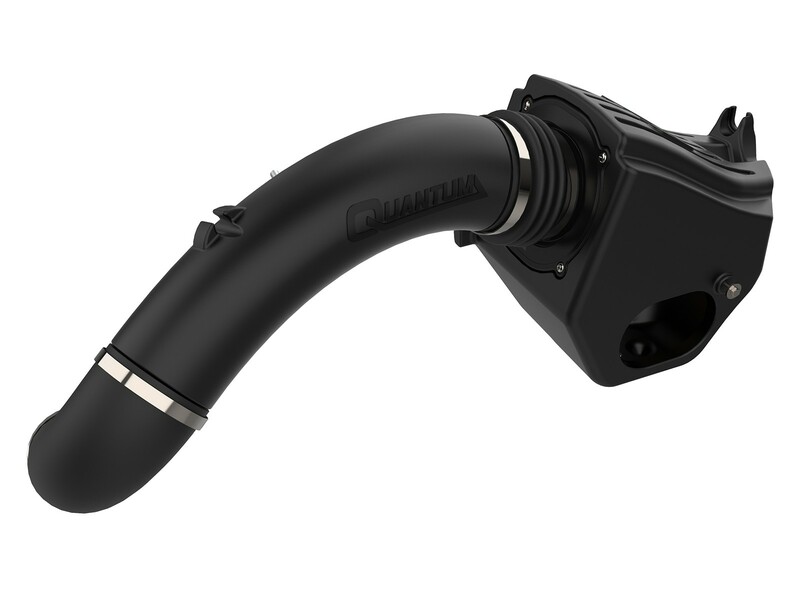 Specifically designed for the Quantum Series intake systems, the filter includes an injection molded base and top for lighter weight and rigidity. 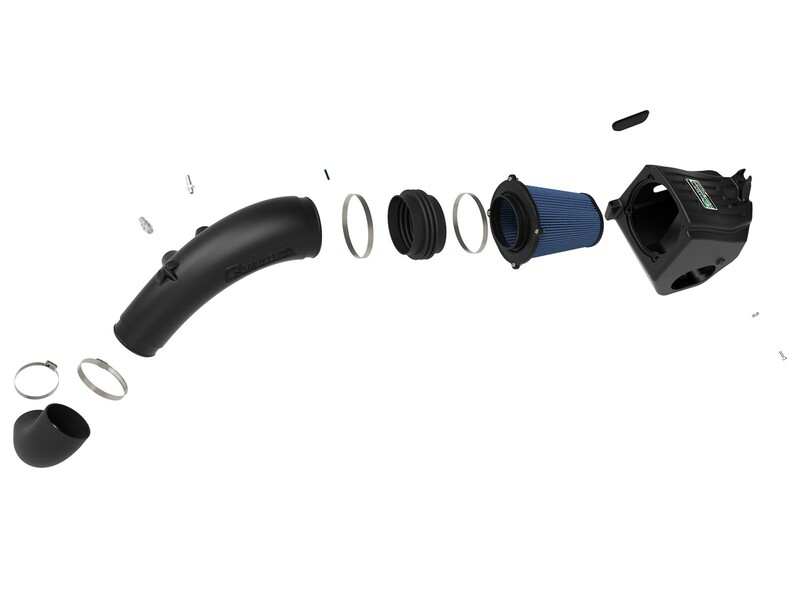 Captive screws are used to eliminate lost hardware and to securely fasten to the housing. 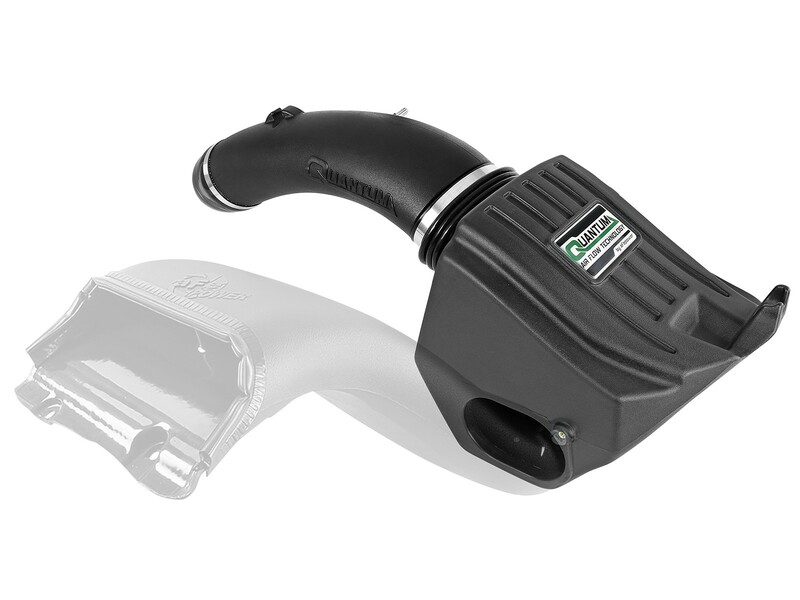 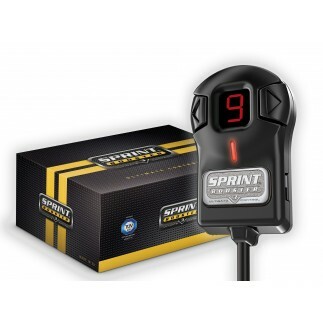 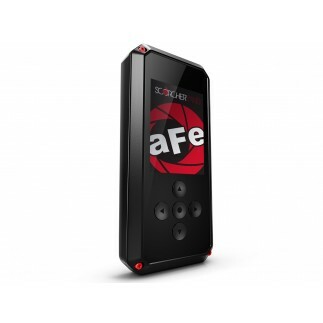 The base includes a built-in, 3-angle velocity stack for smooth, even airflow. 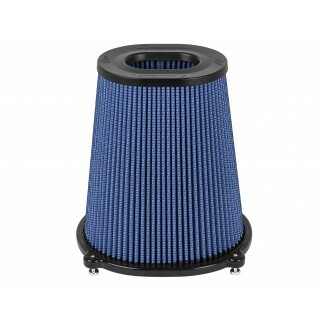 Inverted top filters offer more surface area for longer life and an exceptional look.